With all the rain, it’s been a banner year for mother nature. We’ve seen the gardens come alive, thanks to all the hard work from our volunteers and from the volunteer plants that have chosen our gardens! 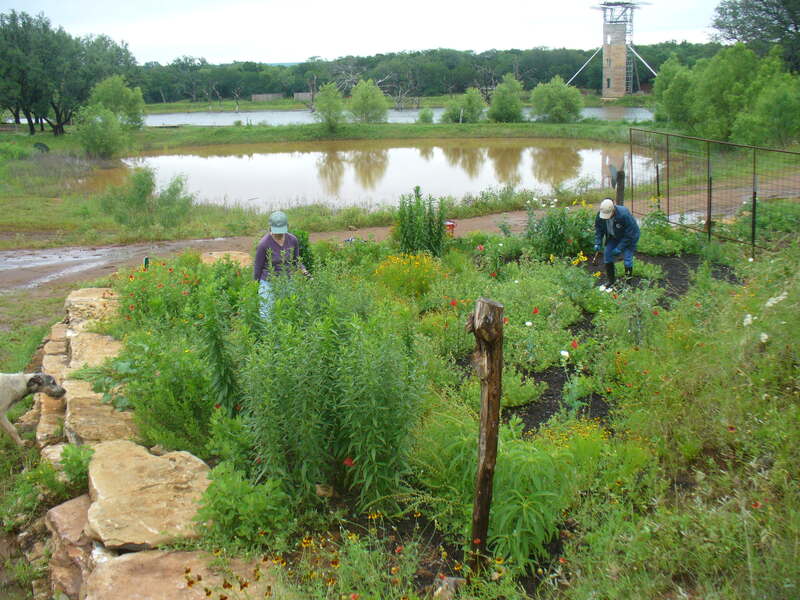 And the cool new news, the Upper Highland Lakes Nature Center has joined the new U.S government program, sponsored by President Obama, to register 1,000,000 pollinator gardens. 250,000 are already registered! 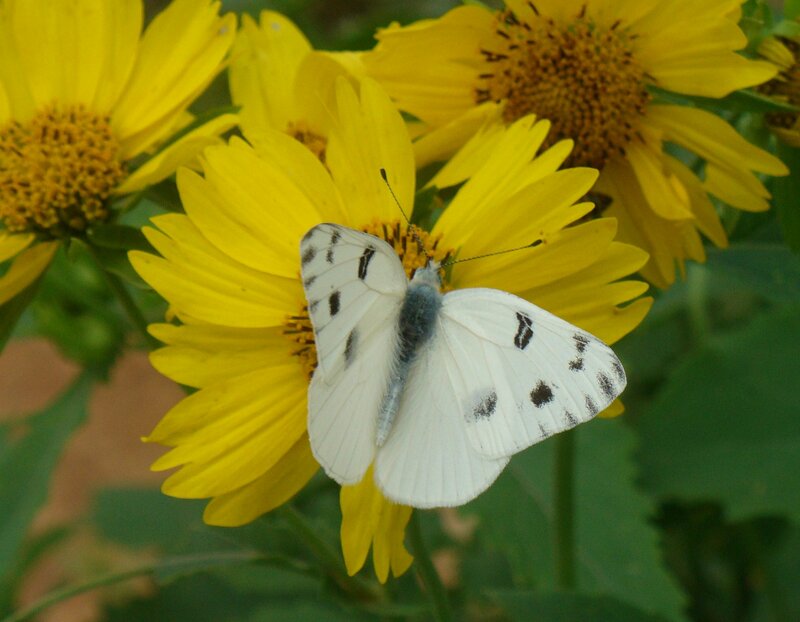 Checkered white butterfly feasting on a volunteer camphor daisy. We registered the UHLNC site using the latest picture of our Monarch way station/pollinator garden our volunteers created. 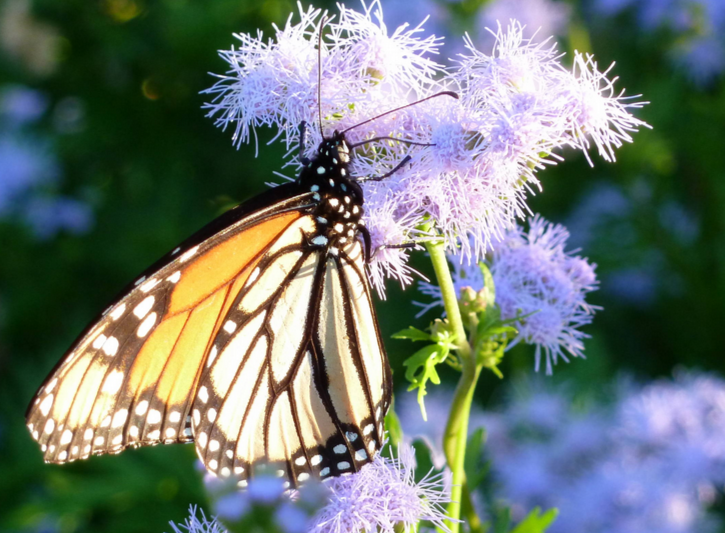 Anyone with a bee-friendly, butterfly, hummingbird or any other pollinator garden can register for free and join the ranks of folks concerned for the future of pollination. Find out more information and register your garden at www.millionpollinatorgardens.org. You can place a sign on the national map of your location. You can even get an official pollinator sign for a $20 donation. The real purpose here is to help bring awareness to our communities regarding the importance of our natural pollinators. Talk it up! Let’s not lose 1/3 of our produce. 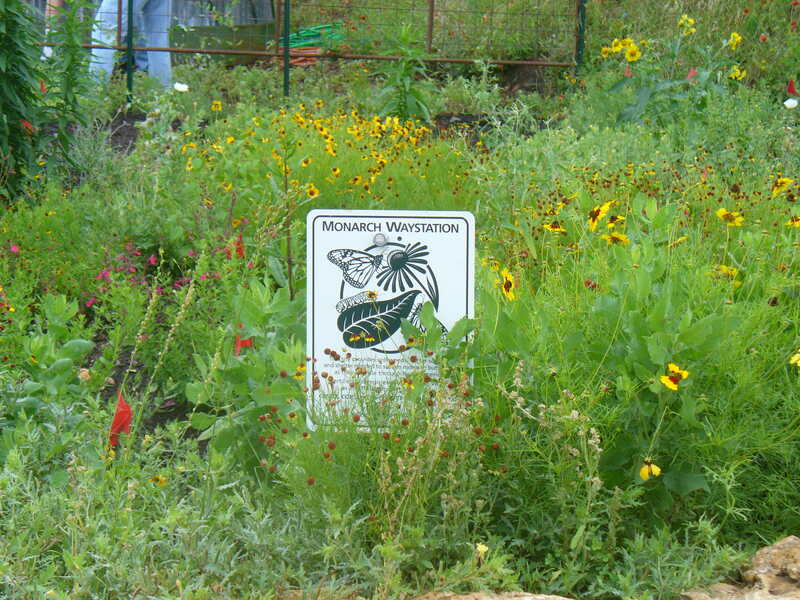 Here’s how we did it at the nature center: With the help of the Highlands Master Gardeners and the Native Plant Society, we planted a Monarch Waystation garden specifically designed to attract and nurture monarchs, as they migrate through central Texas, as well as honey bees and other pollinators. We ensured that there was sufficient shelter to protect the eggs and chrysalis (cocoons) from predators. Mud puddles and the marshy areas around the pond provide water and salts. If you don’t have a pond, you can create your own water sources with puddlers and bird baths. Since butterflies cannot regulate their own body temperatures, we needed a sunny spot so they can bask in the sun when they need to. Plus, we needed to make sure the area was and will be free of pesticides or herbicides. Our monarch waystation and butterfly nursery will be organic! The team also considered which plants and flowers provide the optimum healthy smorgasbord, feeding caterpillars, butterflies and their friends from spring through fall. 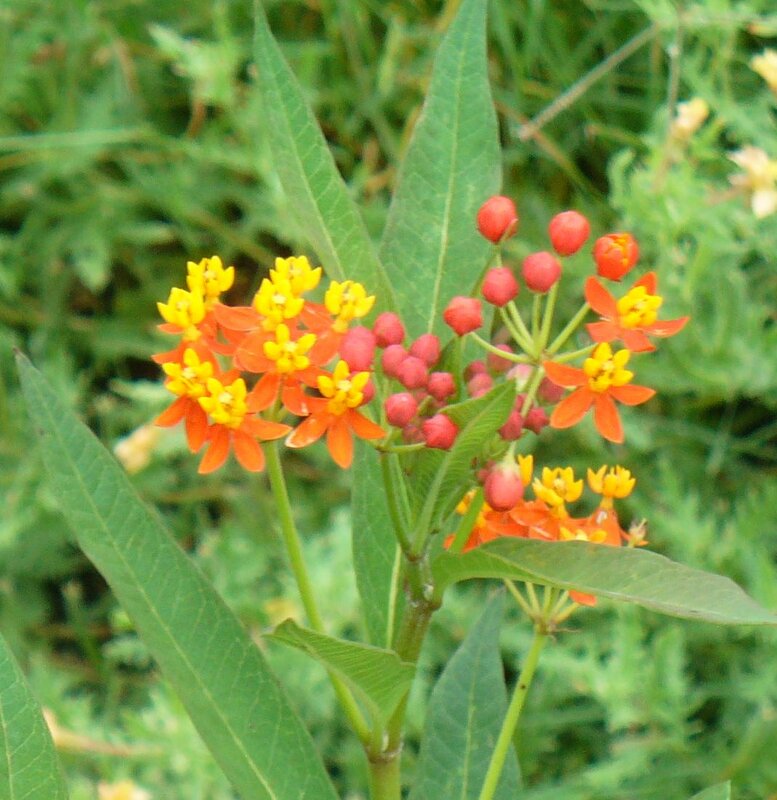 Monarchs typically pass through the hill country in April going north, laying eggs on milkweed plants. Subsequent generations typically appear in October as they make their way south back to Mexico. 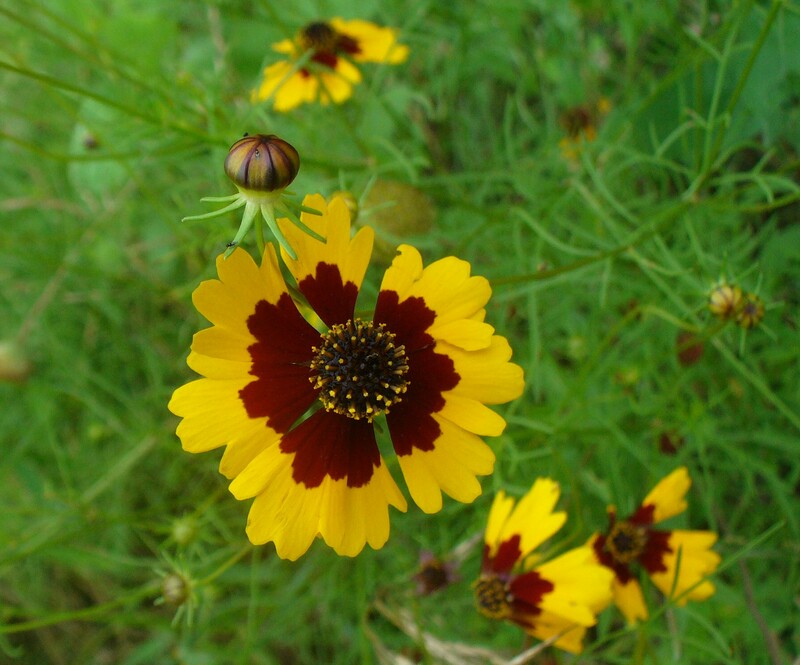 Here’s the list of what we planted… followed by the list of what nature volunteered. Now it’s your turn!! Do what you can to help restore the Monarchs and honey bee population. Our futures depend on them!